•Available with Wiegand or Clock-and-Data interface. •Optional glass mount kit available for mounting the reader behind glass. •Potted reader suitable for indoor or outdoor use. •Available in black, white, gray or beige. •Two-piece reader design allows for easy installation. •Available with a Wiegand or Clock-and-Data interface. •Provides high reliability, consistent read range and low power consumption. 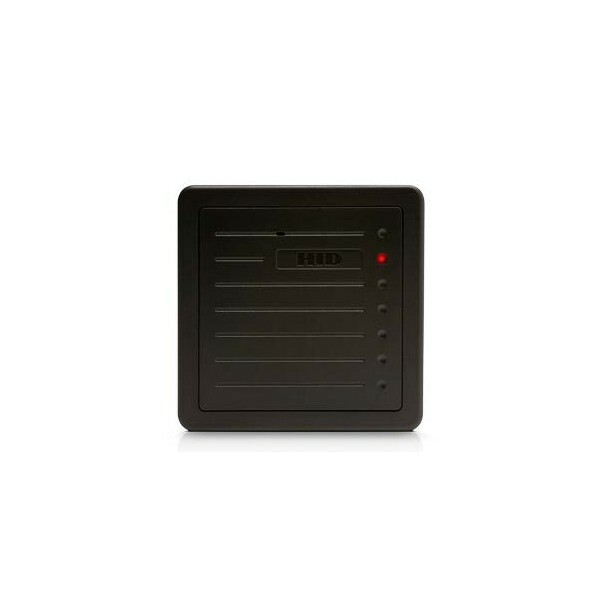 •Features include multicolor LED and internal control or host control of the LED and beeper. •Mounts directly on metal with minimal impact on the read range performance. Optional kit enables mounting behind glass.